Do you prefer to book your travel online? Or have a travel agent or booker take care of it all? Do you think personalised travel using AI is a positive thing? The balance between human interaction and the use of technology is a tricky one and one that many industries are battling at the moment, including the world of business travel. As part of our Hearts & Minds campaign, we are keen to look at the relationship between Travellers & Technology and see how we can bring the two together to improve the traveller experience, without increasing the cost. Here at Clarity, our online booking tool Go2Book offers users access to the richest local and global content for air, rail, hotels and ancillary products. It provides total trip management configured to bespoke travel policy requirements, giving the traveller a seamless experience and the travel buyer visibility of the booking. Implementing a self-serve booking tool is usually a cost-effective method for businesses. Automation and the need for online tools grows every day as travellers strive for efficiency and fast answers but that doesn’t necessarily mean they are willing to do away with old fashioned service. What about those trips which are not straight forward? Where the cheapest flight option involves a 22hr layover and delays employee productivity by a further two days which in turn ends up costing the business more money? Is our technology smart enough to tackle these situations right now? We’re making big strides with our use of data, but it doesn’t shy away from the fact that sometimes a human touch point is needed to fulfil a task to its highest potential. There are plenty of situations which may require immediate action, or special circumstances" airline strike action, weather related emergencies or even something as simple as road traffic delays impacting a full itinerary. Booking tools can solve these problems, but most travellers choose the reassurance of an experienced agent to help when they find themselves in what can become a stressful situation. There is no denying online booking is the way forward, but this has to be sustained alongside a quality network of business travel specialists. Having experienced travel agents with the awareness of company’s booking policies and travel patterns can be a real bonus for ensuring traveller satisfaction. It can also contribute towards marginal gains, as consultants can tap into their extensive knowledge to find the best possible route based on the desired outcome of the trip, rather than the cheapest option available. 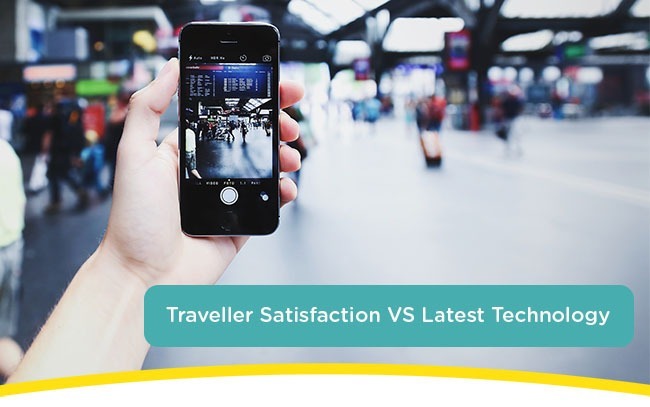 Technology is a crucial requirement for travellers in this day and age and travel management companies need to find that sweet spot to blend it in with just enough human interaction to keep the costs low whilst maintaining a high level of employee productivity and traveller satisfaction.